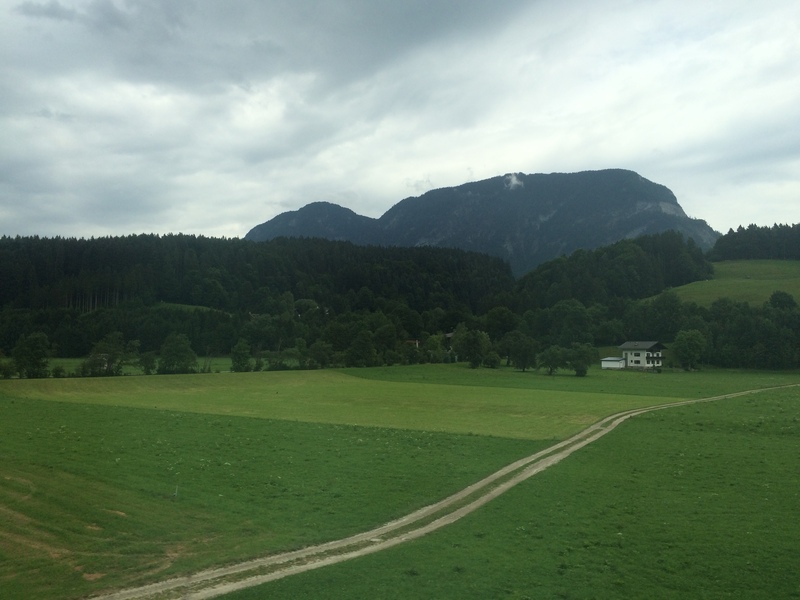 Monday we took the train from Vienna to Zurich, through the Alps. The trip lasted 9 hours, but I loved every minute. We had been sure to buy tickets next to a window, and snapped photos the entire time. 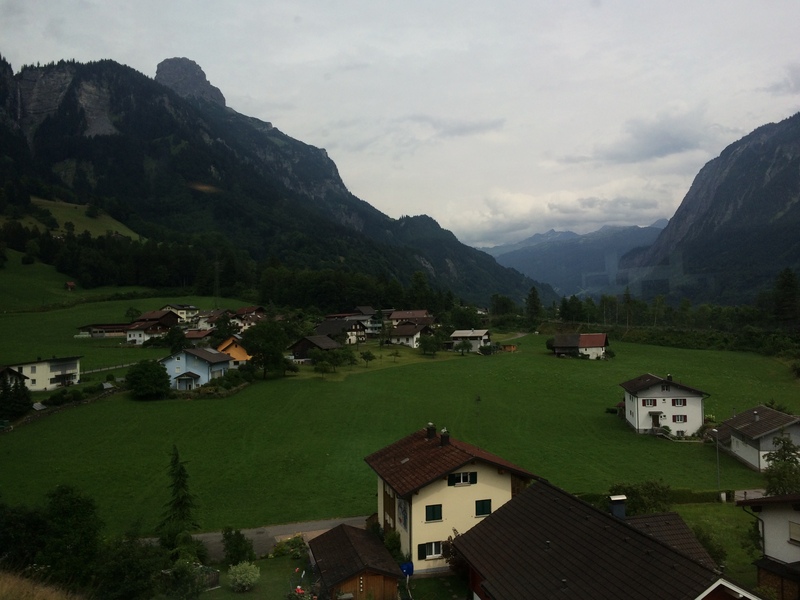 The meadows with wildflowers and the valleys with small villages never got old. 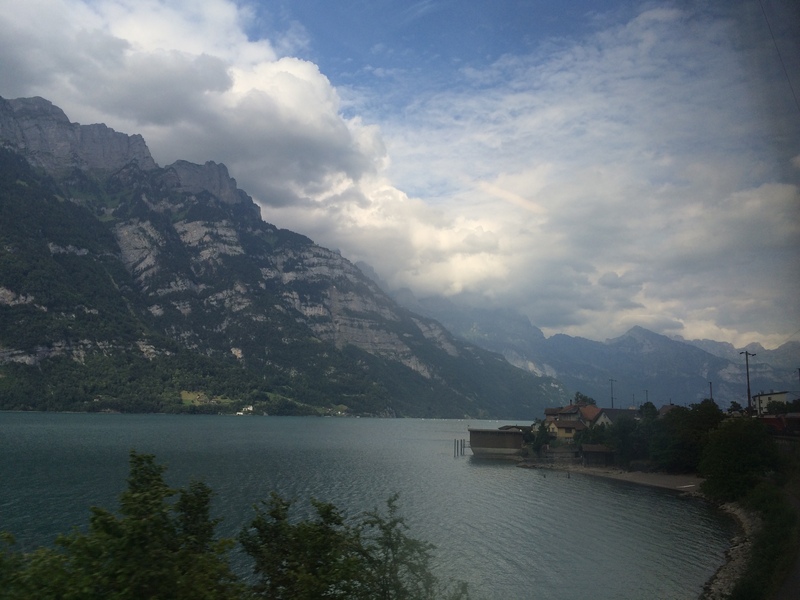 Then, as we neared Zurich, the scenery shifted to aquamarine lakes. We dropped off our luggage at our Airbnb apartment and took the tram back into town. 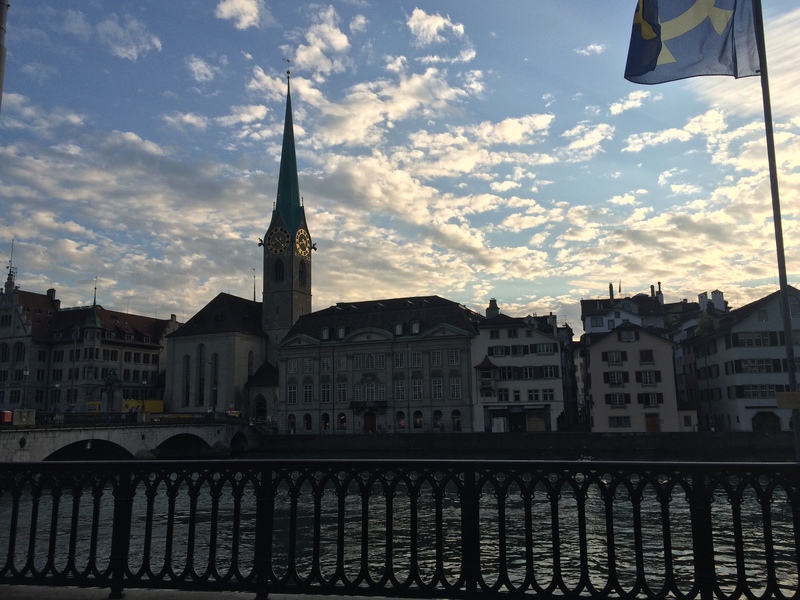 My husband had visited Zurich before and wanted to share with me one of his favorite fondue restaurants. 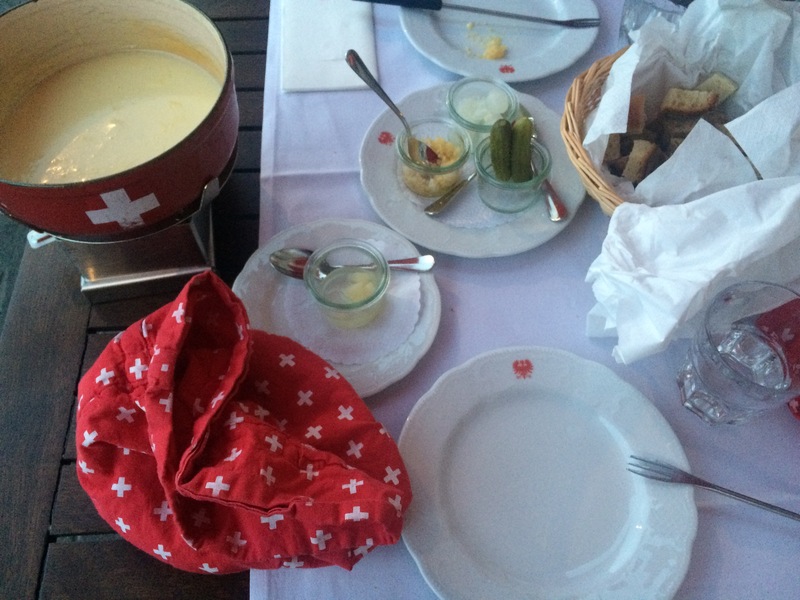 They serve a four cheese fondue outside along the lake. We ordered it and it was just perfect. I particularly love how they serve the little boiled potatoes in a cotton sack. We also noted the addition of kirsch into the fondue pot for future fondue reference. 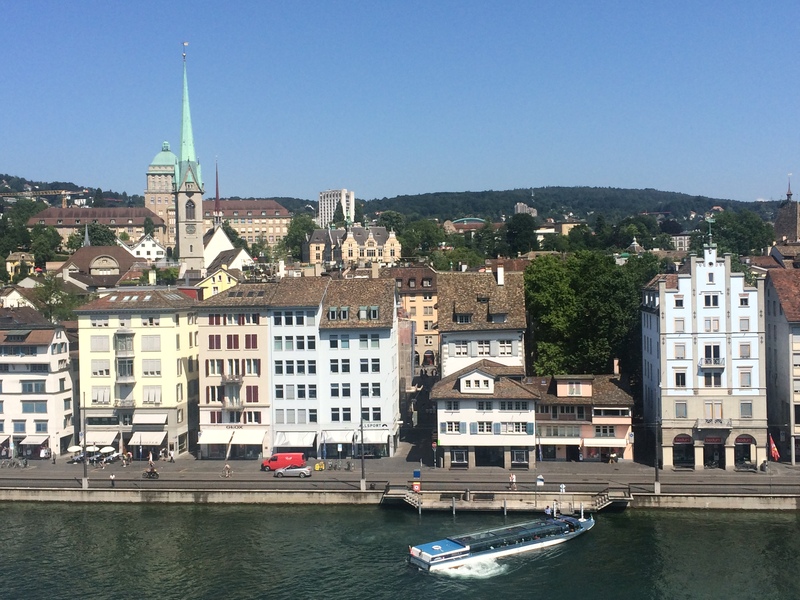 The next day we spent wandering the old town and sampling chocolates. 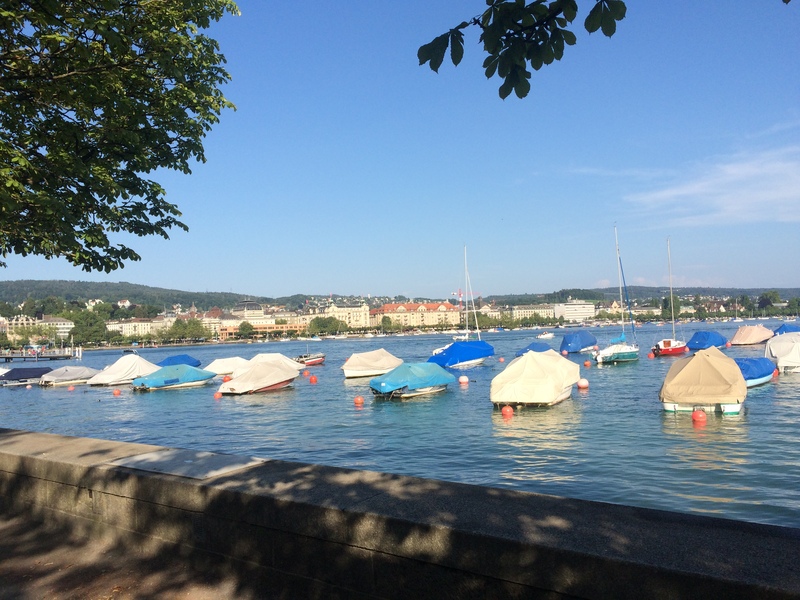 Today we returned to some of our favorite haunts and also walked alongside the lake. I have a few more updates from our trip in store… Hope you are having a great week! Love your posts! Glad you are having such a nice trip! Oh my goodness..just when I thought it couldn’t get any more picturesque. What a heavenly retirement.